When Yvonne Goode first saw Bonnie, she looked more like a discarded dirty rag than a dog. 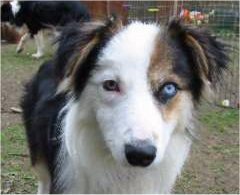 She cowered at back of the pen at the rescue home - her black and white coat more yellow and brown, but through it all her huge eyes glowed. 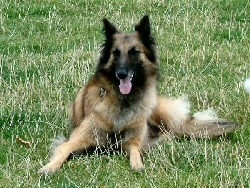 Now Bonnie is the Canine Survivor of the Year 2003. From the start Casey was very difficult. 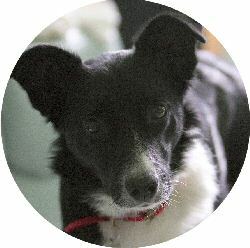 Before Lesley and Colin Harpley brought her home from Chilterns Dog Rescue Society, she showed signs of nervous aggression to people and dogs, while at the same time being quite dominant. Lesley explains how they got over the problem. 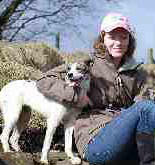 Junior handler Gina Graham got her 'little freak' as company for her crossbreed Dizzy who had been in training for about five months. And what a dog she got! This is Cassie's story - a fruit 'n nut case makes good! 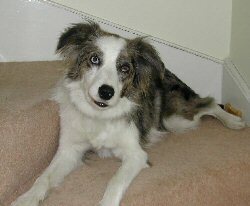 Chloe was due to be PTS for behavioural issues. 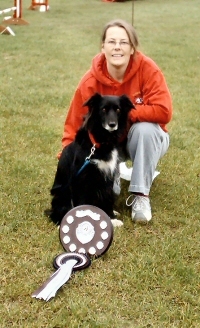 Then she started agility training with Lucy King and within six weeks, they were out competing at UKA shows. Agility helped to turn her life around. 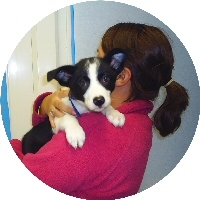 Border Collie litter sisters Lassie and Smudge were handed in to Battersea for rehoming in 2001. Almost six years later they met up... where else but at an agility show! Collie-cross pup Gimili and mongrel Rizzo are two very special dogs who have gone from rescue pups to trainee hearing dogs, and now very promising agility dogs! 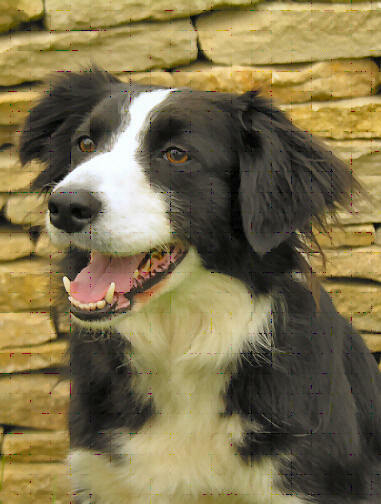 Holly was three years old when Clive Bayliss adopted her from The Border Collie Trust in August 2010. 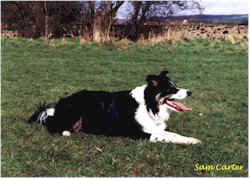 He only had limited information about her early years, except that she had spent her first two years on a farm in Wales, and was presumably a failed working farm dog. She was rehomed and then rehomed again seven months later. It was clear from the start that this little lass had a few issues. With the help of the trainers at Dog Learning Zone and a lot of patience, Clive has helped to progress Holly towards a happier doggie life. Daniel Millwood is not professing to be an expert in agility training. This is just his story about him, his first dog Magic, and how agility has changed his life. 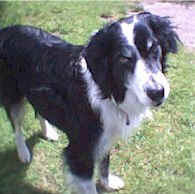 Jack Be Nimble of Valgray came into rescue as a puppy and was only there for a few days before he was snapped up by Ann Young. Sometimes she admits it was hard work, but she has done well with him. He ended up with 1844 point in the Valgray Rescue Dog of the Year league, so we asked her to write something about her clever little boy who was the 2012 winner, without much help from her... or so she says. Samantha Carter's Jack (Ajax Jester) is a very special dog. His journey to where he is now has been long and difficult, but it is not yet over. Here is his story. 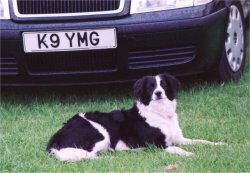 To celebrate the opening of their multi-dog friendly holiday cottages in May 2009, Mandy and Marcus Bainbridge organised a special competition. There were two prizes up for grabs. 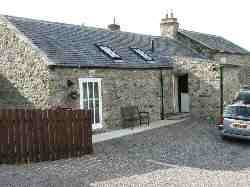 Each of the winners would get a weeks free holiday in their new holiday cottage. Congratulations to the worthy winners - Jackie Bromwich and Sheena Scrafton. He's deaf not stupid. If you have ever watched Lisanne Steen guide her WSD Merlin around an agility course, you would be surprised to learn that Merlin was born deaf. How on earth was he trained to be a good companion and agility dog? Ruby Shorrock (17) prefers mixed breeds to pedigrees and says that her favourite breed is ‘rescued.' 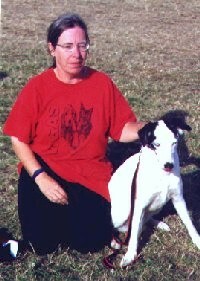 She has vowed that throughout her life she will only ever have rescued dogs and what's more, she loves agility. 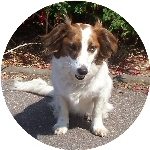 Jan Lockwood talks about her little rescue dog Nieve and the SupaDog DARL League. 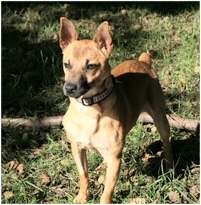 Introducing Diva, the 2007 Agilitynet Rescue Dog of the Year. Barrie James fell in love with this little dog with the big ears. Now she's Grade 5 and only two years old. What a success story! The trials, tribulations and successes of a BSD rescue by Louise Downing. Shep is a lovely little dog who has really been to hell and back. He has suffered severe cruelty and abuse, but thanks to the courage and bravery of two elderly ladies, this young lad now has the opportunity to have the life he deserves. This is his sad story. 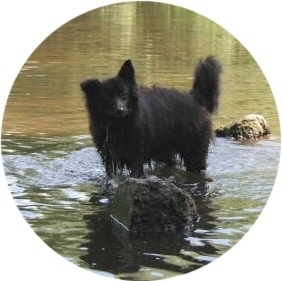 When Jo Davidson-Poston finished uni, she decided that she must have a dog. She decided that she wanted another Papillion. 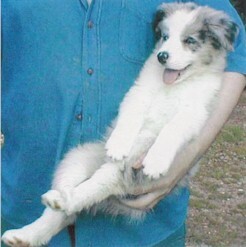 On meeting the breeder, she was told about Sparticus (Sparky for short.) He was 18 months old - the perfect age to start agility training. Seeing him run round the garden in a figure of eight and then stopping to pee up her sister's leg, confirmed that he was the dog for her. Spud (Golden Wunda Spud Noworries) was picked up as a stay in Southern Ireland. When Linda Cummings saw him on Agilitynet, it was love at first sight. 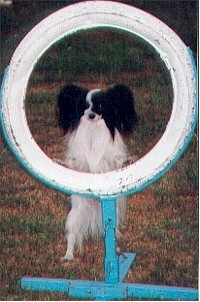 In 2009 Spud won the DARL Agilitynet Rescue Me Award with a stunning 2577 points - 56% more than the 2nd place dog. One Friday Claire Hayes was surfing Agilitynet when she saw Spike (now Spy) on the Rescue Me page of Agilitynet. It was love at first sight. 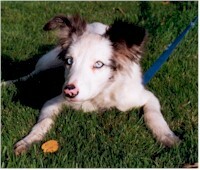 Claire Haynes never thought that training rescue dog Spy (formerly Spike) would be so difficult. 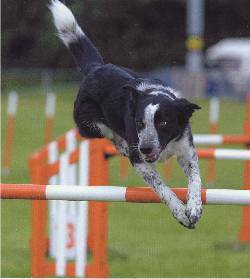 Trudie didn't get truly addicted to agility until she got Super Sasha of Valgrays who really showed her owner what agility was really about - time, patience and lots of fun.